We recently showed you the turbocharged Suzuki SX4 from Road Race Motorsports nicknamed "Beast." Here's an updated photo of the car, complete with Compmotive TH17 wheels. 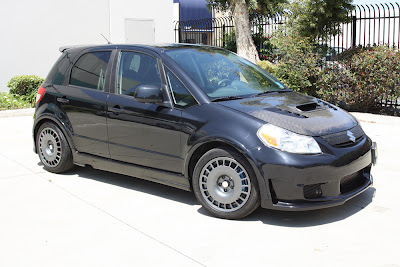 That is one nice looking SX4, and I love the wheel choice, too.